When people truly love and respect each other, they are fully present and supportive when their partners express those memories and the emotions that accompany them. They do not challenge, invalidate, or question the reasons they feel that way. In quality love relationships, partners realize that broken places naturally will emerge for both of them from time to time. They feel grateful that they can be there for each other when that happens. When a sorrow feels either person’s heart, the other partner attends without judgment, gives support without the need to change the experience, and offers unconditional love during those moments can actually help those damaged places to heal. From the first moments of life, there are specific kinds of interactions between children and their caretakers that create in those children a sense of being deeply understood and known. Yet, all truths are not always helpful or necessary in every situation. Sometimes the choice to withhold or to be more diplomatic is more caring. Successful partners understand discern how much openness is appropriate to each situation. 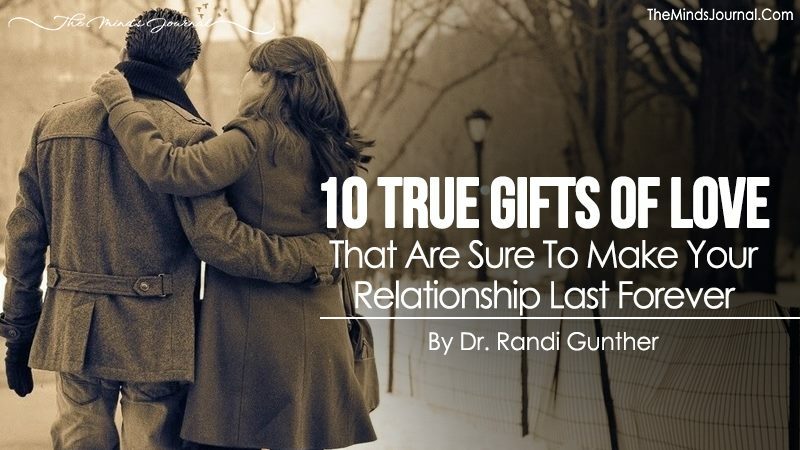 These ten behaviors are true gifts of love. Those who experience them in their most important relationships enjoy the sacred experience of being deeply known, fully accepted, and authentically beloved. Despite the energy and commitment, it takes to achieve this kind of love, those who have made it happen are beacons of hope for those who are seeking the same joy.